Wow, Start this year with a fresh Gmail Inbox. You can empty your Gmail Inbox by archiving the older mails in OldInbox folder. 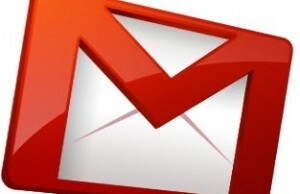 Follow the below steps to empty your current Gmail Inbox. Step 1: Add a label to all the email in your inbox. Click on “Inbox” at the top left of your Gmail. Then look for “Select: All” and click on the “All” link. If your inbox is bigger than one screenful, you’ll see a message like “All 25 conversations on this page are selected. Select all 666 conversations in Inbox.” Click on the second sentence of that message to select everything in your inbox. Now click on the “More Actions” button and select “New label…” . You’ll be prompted for a label name, so enter something like OldInbox as the label name and click OK. Gmail will ask if you’re sure you want to apply this label to all the selected emails, so say yes by clicking that OK button. Congrats! Everything in your inbox now has the label “OldInbox”. Now we just need to archive every email with that label. Step 2: Archive all your email with that label. Look for the “Labels” box on the left-hand side of the screen, and click on “OldInbox” (or whatever label name you gave). Click Select: All. Do the trick to select all conversations if you need to. Then just click the “Archive” button. That’s it. Your inbox is now empty, but you can get to those older emails if you need to by clicking “OldInbox” in the Labels box. Can you undo these changes? Yes! Putting the email back in your inbox. If moving things out of your inbox is too stressful, you can move them back into your inbox. Click on the “OldInbox” label (which you can find in the Labels box on the left-hand side of the screen). Select all of the emails with that label. Then click “More Actions” and click “Move to inbox.” In a jiffy, all that old email is back in your inbox. Removing the “OldInbox” label. Under the “Labels” box on the left-hand side of the screen, click “Edit labels” and then you’ll see a “remove” option for each label. Note: do not remove the “OldInbox” label if you’re still using it to keep track of your old inbox. Thanks a lot Matt Cutts for this wonderful trick.